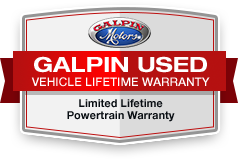 1) Limited Lifetime Powertrain Warranty is non-transferable. Terms and conditions apply. Must perform Manufacturer recommended maintenance and have oil and filter change completed at a minimum of every six months or 7,500 miles, whichever comes first. All services must be performed at a licensed repair facility. Eligible vehicle must be 2007 or newer and have less than 100,000 miles at the time of sale. Excludes vehicles covered under a manufacturer certified pre-owned (CPO) program warranty. Excludes Lease Buyouts. Additional exclusions apply. Offer valid through close of business December 31 This EcoSport is One of our Ford Courtesy Vehicles. These are Low mileage used vehicles that are eligible for New Vehicle Retail Incentive Offers and the balance of the New Vehicle Limited Warranty. These vehicles were formerly used by our customers and cared for by our very own service department. Save hundreds of dollars on your monthly payment when you buy One of our Ford Courtesy Vehicles and still enjoy that New Car smell! Call us today to see this barely used EcoSport in person and experience 'Galpin Used Car Difference'. Used Dealer Rental Vehicle. All figures are EPA estimates. Actual mileage will vary. Kelly Blue Book values are calculated based on the current Retail Book. Pricing analysis performed on 3/15/2019. Fuel economy calculations based on original manufacturer data for trim engine configuration. Please confirm the accuracy of the included equipment by calling us prior to purchase.